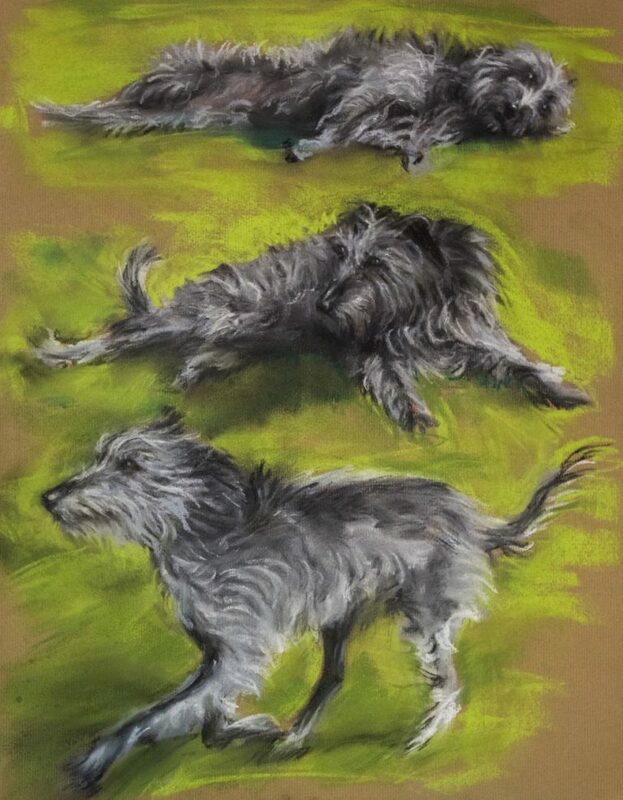 Here are a couple of pastel portraits of a lovely dog. The top one I drew from video frames as a motion study. 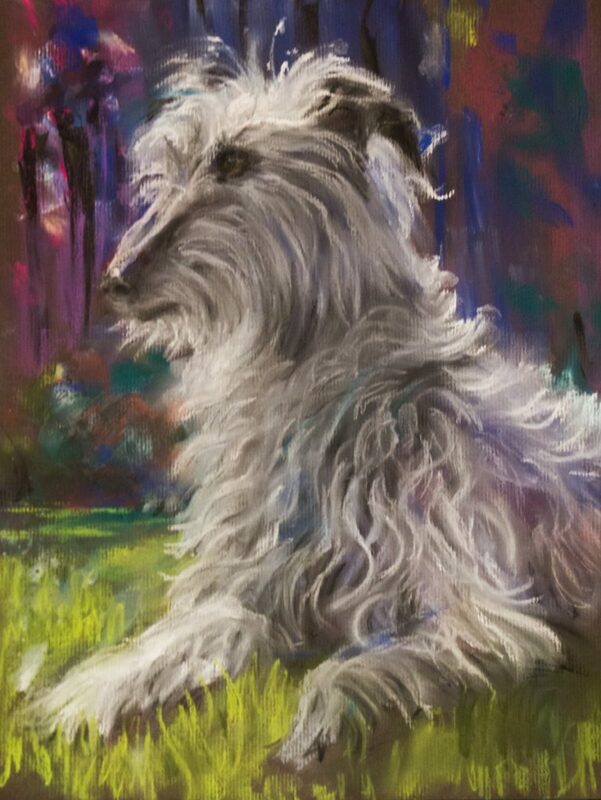 I drew a second portrait of the same dog from a photo. These pictures were taken before completion (note to self: remember to take photo of completed portrait! ).